The City of Walnut Creek hosted the third of four workshops for Contra Costa County cities. Under a grant from the San Francisco Foundation, ICLEI provided data for completion of community wide Greenhouse gas inventories. 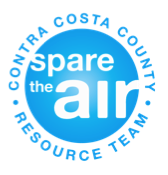 Those inventories have now been completed for fifteen of the nineteen Contra Costa county cities! The third workshop discussed Milestone 2: setting greenhouse gas reduction targets. Many mayors choose to select the Kyoto protocol targets, while others are getting more aggressive and targeting 80% reduction by 2050. What are the five milestones? Did you know that ICLEI has updated its website? www.icleiusa.org check it out! Berkeley going solar! A new city program will provide a unique opportunity where the city pays for the up front costs of installing solar and then recoups it over the next 20 years. How? In a first-in-the-nation program the city will offer full financing of new solar electric photovoltaic systems, and allow homeowners to pay back the cost of installation, with interest, through a twenty-year assessment on their property tax bill. This will help residents get into solar without the high initial (often prohibitive) up front costs. Stay tuned. California state mandates require the state’s utilities to generate 20 percent of their power from renewable sources by 2010. Pacific Gas and Electric Co. is set to complete its obligation under a future power purchase deal signed recently with Calpine Corp, purchasing 57 megawatts of new electricity from a geothermal facility located 75 miles north of the Bay area. Delivery begins in September. Other renewable energy contracts totaling 1,024 MW, include 553 MW of solar thermal with Solel-MSP-1, 85 MW of wind power from PPM, 2 MW of wave energy with Finavera Renewables, 177 MW of solar thermal with Ausra Inc. and 150 MW of wind energy with enXco. In Maryland, sea slowly claims a historic island. With water levels in the Chesapeake Bay rising an inch per decade, Smith Island has lost more than 3,200 of its 11,000 acres over the past 150 year. A 160-square-mile piece of the West Antarctic ice shelf collapsed March 25, an event that some scientists believe signals the potential for movement of glacier ice on the continent, which could lead to rising sea levels. Australia won an ovation at the start of U.N.-led climate change talks in Bali by agreeing to ratify the Kyoto Protocol, isolating the United States as the only developed nation outside the pact. Is the Bay Delta at Risk of Invasives? As global warming continues, warmer temperatures can result in non native vegetation. According to a National Wildlife Federation report; warmer waters allow invasive weeds called phragmites to thrive in the Great Lakes region. The report concludes that by 2050, spring and summer temperatures in the Great Lakes region may increase by up to 9 degrees Fahrenheit and 7.2 degrees Fahrenheit, respectively, and lake levels in lakes Michigan and Huron may drop by as much as 4.5 feet. As a result, phragmites will spread quicker when water levels drop and temperatures rise. The weed already has overtaken large swaths of Saginaw Bay and spread along other shorelines and farther inland, showing up in farm fields and ditches. U.S. venture capitalists invested $2.6 billion in 168 cleantech companies, setting a record for 2007, according to the quarterly report from the National Venture Capital Association released yesterday. The report, which was compiled from data by Thomson Financial, shows the money invested so far this year approximately equals the combined amount invested from 2000 to 2005!! Rental Car Leaders start Carbon Offset program: Three rental car companies: Enterprise Rent-A-Car, National Car Rental and Alamo Rent A Car; owners of a combined fleet of more than 1 million vehicles announced the launch of the industry’s largest carbon offset program. It will allow customers to pay an extra $1.25 to fund certified carbon-offset projects administered by the company TerraPass. The companies decided to launch the initiative after its surveys showed that almost half its customers said they were interested in participating in an offset program. The Clinton Foundation has announced that the 1,100 cities represented by the US Mayors conference will become part of a purchasing group. Wal-Mart, the nation’s largest retailer, said it would work with the cities to bundle orders and product specifications for green technology to create a buying pool to bring down prices for green supplies and products. With snow packs shrinking, ski resorts in the Alps are trying to stay ahead of global warming. Ski resorts throughout Europe are vulnerable to rising temperatures and are leading the way with several pioneering architectural non-ski attractions. Not only by installing more snowmaking guns, but also by transforming their resorts with colossal spas, sleek architecture and other off-slope attractions. Big-name architects like Zaha Hadid are designing high-altitude ski features. Shopping centers are going up on mountain peaks. And venerable hotels like the Tschuggen Grand are becoming all-weather resorts by adding a $30 million, 43,000-square-foot spa. The scientific IPCC panel’s findings suggest that the length of seasons is changing, and found the earlier onset of spring and later arrival of fall have shaved roughly two weeks from the year’s coldest period. That change is starting to rewrite decades-old rules in the clothing industry. Liz Claiborne, the apparel company, has hired a climatologist from Columbia University to predict weather for its designers to better time the shipments of seasonal garments to retailers. The discount retailer Target has established a “climate team” to provide advice on what kind of apparel to sell throughout the year. More and more, the answer is lighter weight, “seasonless” fabrics. Religious leaders get involved in the Green Spiritual Movement to Protect God’s Creation: A coalition of religious leaders urged Congress to ensure that the poor and most vulnerable are protected from the effects of climate change. The appeals come as lawmakers plan to consider legislation that would combat global warming. The representatives from groups such as the U.S. Conference of Catholic Bishops, National Association of Evangelicals, National Council of Churches and the Union for Reform Judaism said Congress should require a reduction in greenhouse gas emissions. How is your city doing in regards to meeting AB939 and the 50% recycling target? Ready to meet a higher percentage? If you are like most cities–probably not. Even with Construction and Demolition(C&D) Ordinances in place..it is the commercial waste that often drives the numbers upwards. Consider an outreach campaign, and provide this valuable resource to the stakeholders in your community. A searchable database of county green activities is now available at www.greencounties.org. The database contains copies of county resolutions, policies, plans, program descriptions, case studies, job descriptions and more. Search by keyword or by state, county size, document type(s) and/or issue area(s). Issue areas include everything from climate change, green buildings, and renewable energy to land use, purchasing, and waste management. Visit www.greencounties.org and click on Green Government Database. Here is an electronic copy of the recent California Counties Magazine. Highlighted are number of excellent case studies and reports on what local governments are doing to address climate change. Great article and a video at: http://online.wsj.com/article/SB120248655589254033.html features Nine Cities, Nine ideas. Interested in Joining a Work Group? We need volunteers to help with designing, improving and developing this monthly newsletter. Also let us know what type of information would be helpful for a contra Costa county cities website? Please check out just barely unfolding website: www.ccclimateleaders.org and let us know what resources, information, and ideas you’d like to see!